Stunning Talega Estate Home located in the Prestigous Alta tract featuring 5 very spacious bedrooms, each with their own private full bathroom, main floor guest room, a large upstairs bonus room, den or office with built in bookcase, a formal living room with cozy fireplace, a generous sized family room with stately fireplace off the gourmet kitchen with center island, granite countertops, top of the line Thermador stainless steel appliances, two dishwashers, built in refrigerator, double ovens, warming drawer, butlers pantry, walk in pantry and deluxe laundry room. The exceptional décor is tastefully upgraded with the current trend of colors and finishes, unique light fixtures, gorgeous hardwood flooring and plantation shutters. The grand master suite is sophisticated and comfortable with a private sitting room, large balcony, his & hers walk in closets and large bathroom with oversized Jacuzzi tub. 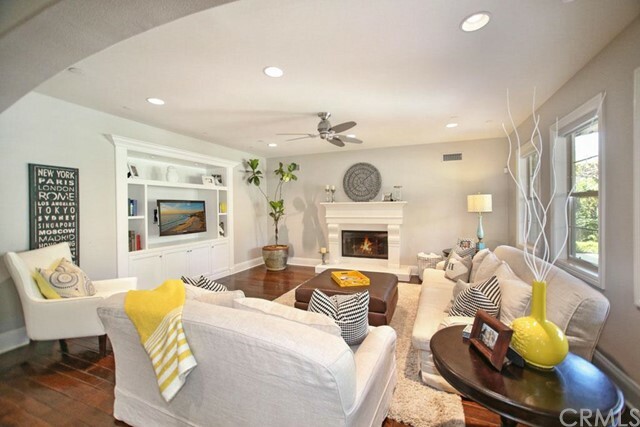 This light and bright property extends the living space by bringing the outdoors in with three sets of French doors leading to the wonderful interior courtyard with a one-of-a-kind firepit with glass chips. The entertainers backyard has extensive hardscape, a covered patio, outdoor fireplace, built in BBQ, outdoor shower, mature landscaping and grassy area. Lease also will be considered for $6800. per month.